NBA stars return home was the working title for this piece since long gone are the days of players spending their entire career with one team. It just does not happen much in any major sport. From burning jerseys to apathy, everyone reacts differently to one of their team’s favorite players being traded away or walking away via free agency. When the following NBA stars return home for the first time in 2017-18, even if you are not a fan of the team they played for or are currently playing for, it classifies as a League Pass alert! Obviously Kyrie Irving, who has gone crazy and wants out of Cleveland, and Carmelo Anthony, if/when he finally lands in Houston, would have made this list if they had been traded by press time. I’m looking forward to DeMarcus Cousins return to Sacramento. A lot of bad blood when he left, as he clearly felt, from comments of the management, that he would be staying there for a while. I suspect the Sacramento crowd will give him a pretty good cheer, since he made no comments about wanting to leave. Clearly, the management and ownership there have major issues when it comes to player treatment and development. Paul George returns to Indiana. In this scenario, Paul George basically said that he did not want to stick around Indiana any longer. I suspect that the crowd there will be much more hostile towards Paul, and it’ll be curious to see how OKC has gelled and developed by the time they visit. One wonders how many Indiana PG-13 or “classic” George 24 jerseys will in attendance when the Pacers first visit the Thunder on October 25th. A sleeper game, except for those up north, is when DeMarre Carroll and the Brooklyn Nets come in to Toronto for the first time. Carol was basically a washout from the time he got to Canada. Initially, I liked the signing, even though the contract was a tad expensive. However, he never seemed to gel with the lineup, and was barely a contributor at the best of times. His shots against the organisation and style of play, while mostly true, were unnecessary, and it came across as being petty. Chris Paul, one of the most overrated players in the league in the last 20 years, going back to LA. You know what you are going to see during that return? 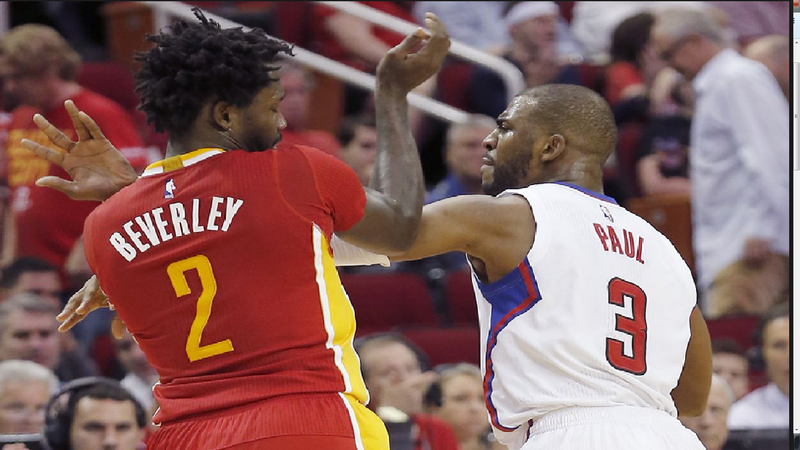 Patrick Beverley is going to be all over that mofo like nobody’s business. Tom Thibodeau and Jimmy Butler facing their former team together. This homecoming happens a week before the All-Star break and traditionally dangerously close to the trade deadline. The mascot may be the only familiar face to greet Butler. Gordon Hayward‘s return to Utah . Exactly two weeks away from the end of the season, Jazz fans will undoubtedly be sour if the playoffs are only in the Celtics future. Yes, when these NBA stars return home, stock up on cold beverages and rely on the fans for the salty snacks. ← NBA Schedule Released, Reactions Of Joy!